Bruce has been an avid outdoor enthusiast and nature lover all his life. He has a driving need to spend as much time as possible being with and taking photos of wildlife. Bruce hopes that his images help the public better understand the "other" living creatures we share the earth with and stimulated them to conserve and protect our natural resources. Bruce has been photographing wildlife from around the world for more than 30 years. He has a PhD in wildlife management and a career in wildlife conservation. Bruce's work covers the gambit from migratory birds, to bats, to hummingbirds, to rattlesnakes, to, well-basically, any animal that breaths. Bruce has traveled and photographed around the world and has conducted photo workshops in Africa, Ecuador, Costa Rica, Canada, and several of the United States. His work is prominently displayed in magazines such as Arizona Highways, Science, Arizona Wildlife Views, Conservation International, and others. Bruce assisted Dr. Arnulfo Moreno Valdez in photographing the acclaimed "El Cielo Reservation dela biosfers Tamaulipas" (The Story of a Cloud Forest). His bat images can be found in numerous books, scientific publications, magazines, and the poster "Bats of Arizona". Bruce has documented bat inventories in both Mexico and Nicaragua. 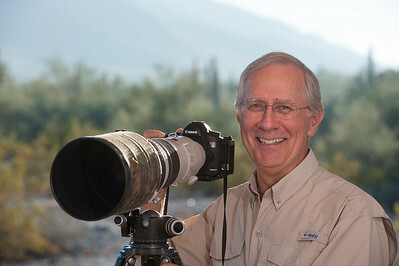 Bruce's book entitled "Wild in Arizona: Photographing Arizona's Wildlife" is a unique publication devoted to getting the photographer to the best places at the best time to photograph Arizona's wildlife.